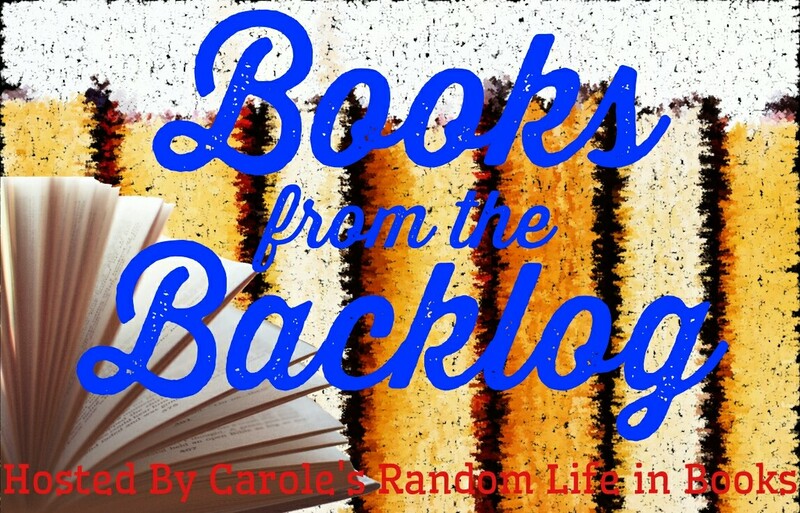 Books from the Backlog is a fun way to feature some of those neglected books sitting on your bookshelf. If you are anything like me, you might be surprised by some of the books hiding in your stacks. Why did I add Gone with the Wind to my bookshelf? 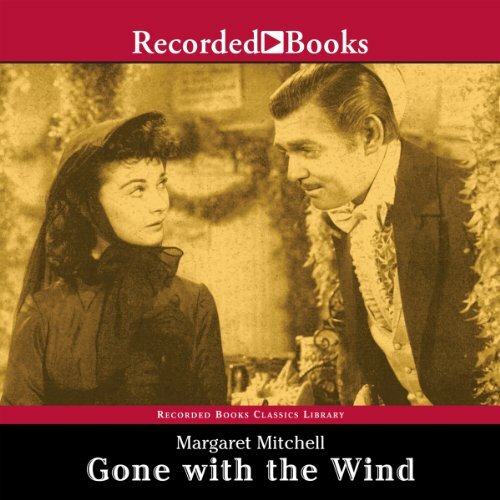 I have had a copy of Gone with the Wind sitting unread in my Audible library since November 2011. I even purchased a copy for my Kindle in May 2013 but I haven't moved the book any closer to the top of my tbr pile. I think that one of the reasons I keep skipping over this book is that it is really long - 49 hours and 7 minutes. I have listened to longer books but for some reason I am intimidated by this one. It has been years since I watched the movie. I have heard that the book is good but I just can't seem to bump this one up my tbr list. I read the paperback years and years ago and I get the size of this book is quite intimidating, but if you are into this genre, I think you could find it of your liking. I'm not into audiobooks, but I can tell you it's a read that surely keeps you busy no matter the format you choose. Even the movie is quite long, but I still watch it once a year, it's kind of a Christmas tradition here :) Hope you enjoy it if/when you decide to try it! I have heard good things about the book. I just need to find a time to listen when I have a lot of extra time on my hands. I liked the film and I'm pretty sure I read the book many years ago but I don't remember when. I think I liked it. I want to read this book someday, but it’s so long! I’m intimidated. This might be a long road trip kind of book for me. Oh wow...I thought everyone had heard of Gone with the Wind. I think it should be good when I finally get around to it. Thanks, Vanessa! I am glad to hear that you like this one, Sophia Rose. Thank you! It's a book that has been around for a very long time. Hopefully, I can work it in someday soonish. It has been years since I watched the movie. I kind of wonder if I would still enjoy it. It is definitely a longer book. I have listened to a book that was 58 hours so it is doable for me. I do wonder how much of a difference there is between the book and the movie. I think I have only seen the movie once and it was years ago so it would all be pretty new to me. I was never really interested in the story. I have started watching the movie countless times but just can't get through it. Usually I love this genre. A 49 hour audiobook would be intimidating for me. 49 hours is rather long but I have listened to longer. This is such a classic, and I know people who have nothing but praise for the book, but once I have seen an adaptation, I have little interest in reading the source. I feel like I know the major plot points, and would rather read a new story. Holy cow! 49 hours!! That would take me weeks to listen to. Probably too big a commitment for me. Great feature, Carole! I don't think I've ever read it, and it's been ages since I've seen the movie! 49 hours of audio is a little intimidating! 49 hours is a whole lot of book! I've not read the book, but I've seen the movie so many times I can recite most of the lines. I think this would be longer than anything that I've listened to. I've listened to It (44 hours) and The Stand (47 hours), but this is still longer. I don't mind long as long as the story is good. I listened to a book that was almost 58 hours before so I don't really mind long books but I have to be sure that I am ready to dedicate that many hours to a story before starting.